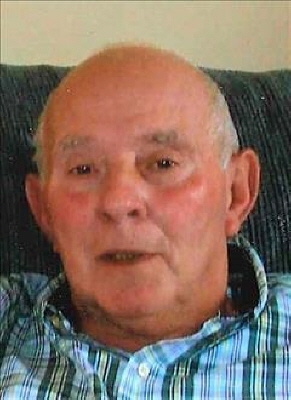 Francis L. Oakley, 80, of Lakeview, OH passed away Monday morning, August 6, 2018 at his home. Francis was born on January 22, 1938 in Santa Fe, OH a son of the late Eldon and Viola Steinke Oakley. On August 11, 1970, he married Charlene Sue Puckett in Jackson Center and she preceded him in death on October 21, 2015. He was also preceded in death by two sons, Michael F. Oakley and Mickey A. Oakley, and a sister, Joan Schmiesing. He is survived by seven children, Michael C. (Cassie) Oakley of Carlton, GA, Richard (Linda) Oakley and Thomas C. (Mary Kay) Oakley, both of Huntsville, OH, Kenny (Susie) Oakley of Belle Center, OH, Kelly (Brian) Hutchison of Flushing, OH, Mitchell L. (Karen) Oakley of Santa Fe, OH, and Sheree (Ron) Kremer of Versailles, OH, 17 grandchildren, Jeremy (Melissa), Roshele (Brian), Mickey, Matthew, Emily, Mitchell (Stephanie), Maxwell, Jessie, Gary Lee (Jennifer), Nicholas (Cortney), Kristen, Amanda (Coleman), Wade, Blake, Sydney, Mindy, and Jessica. 17 great grandchildren, Chloe, Miah, Ryder, Lawson, Harper, Hunter, Anthony, Michelle, Christopher, Caleb, Layla, Drake, Ryder, Jaden, Paul, Jacob, and Andrew, two sisters, Connie Schaub and Phyllis Schaub, both of Botkins, OH, a daughter-in-law, Deb Oakley, and several nieces and nephews. Francis worked at Airsteam in Jackson Center, OH for 46 years. He was a member of the Indian Lake Moose Lodge #1533, Indian Lake Eagles Aeries #3615, Doyle R. Miller Amvets Post #39, all of Lakeview, and Indian Lake Fish and Game. Francis enjoyed traveling, camping, fishing, hunting, trap shooting, and poker. He was a devoted fan of the Michigan Wolverines and Oakland Raiders. He loved NASCAR, baseball, and rooting for the Pittsburgh Steelers and Buckeyes to lose. Reverend Bryan Meadows will begin a memorial service at 11:00 a.m., Thursday, August 9, 2018 at Shoffstall Funeral Home, 205 S. Main St., Lakeview with visitation one hour prior to services. Private inurnment will be in Huntsville Cemetery at the convenience of the family. In lieu of flowers, memorial contributions in his name can be given to Logan County Cancer Society c/o Mary Rutan Hospital, 205 Palmer Ave, Bellefontaine, OH 43311. To send flowers or a remembrance gift to the family of Francis Lee Oakley, please visit our Tribute Store. "Email Address" would like to share the life celebration of Francis Lee Oakley. Click on the "link" to go to share a favorite memory or leave a condolence message for the family.